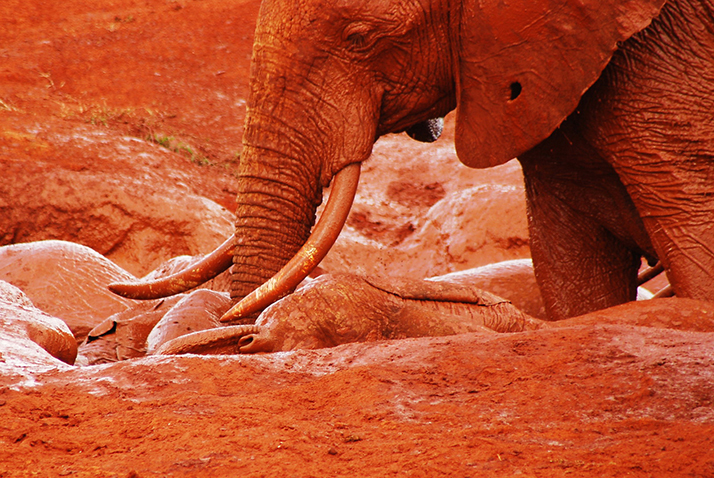 "However, as you have probably already assumed, this is not the way the elephants were born. 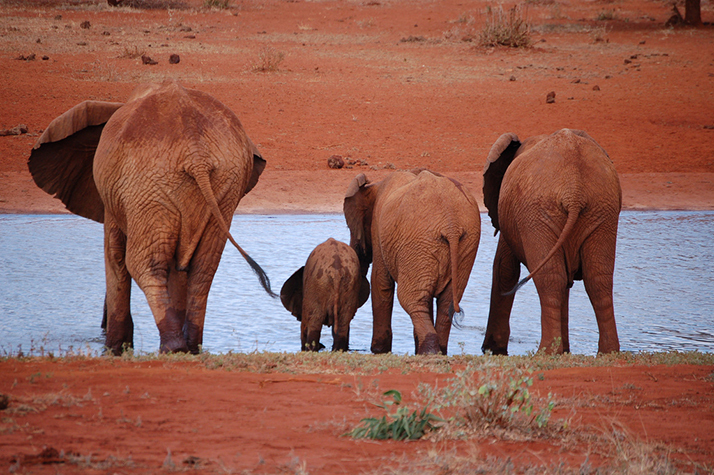 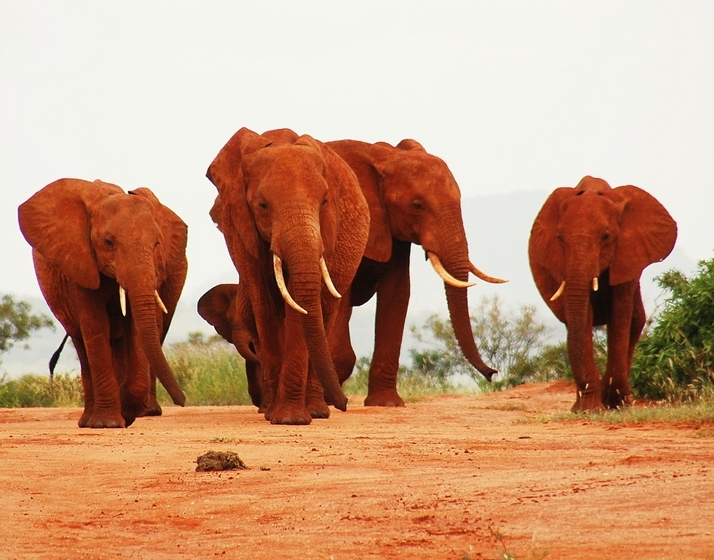 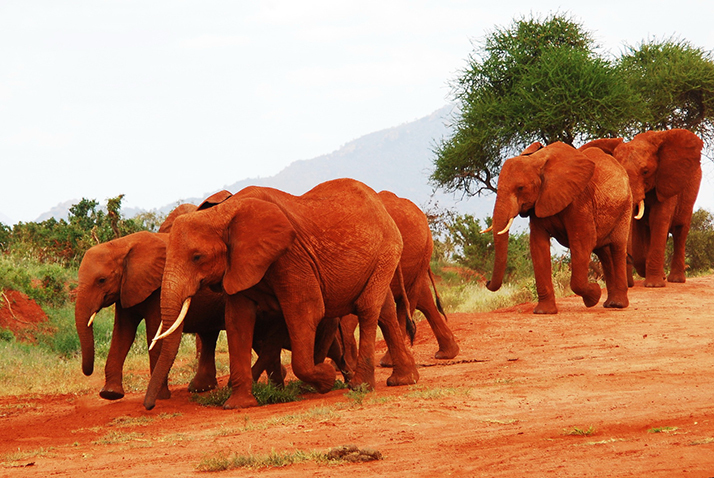 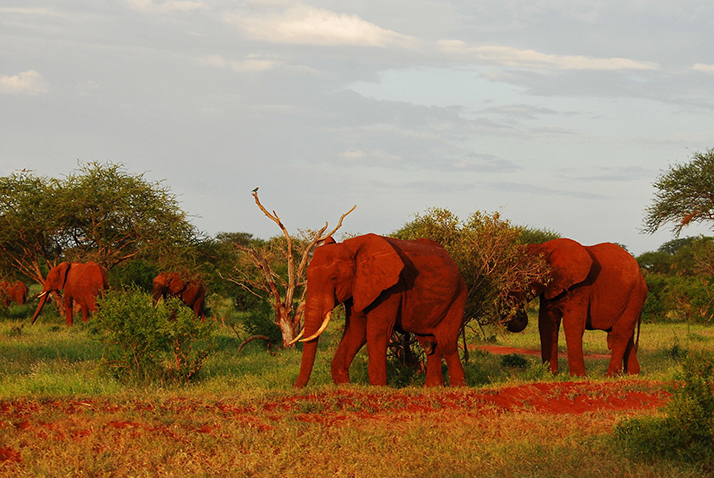 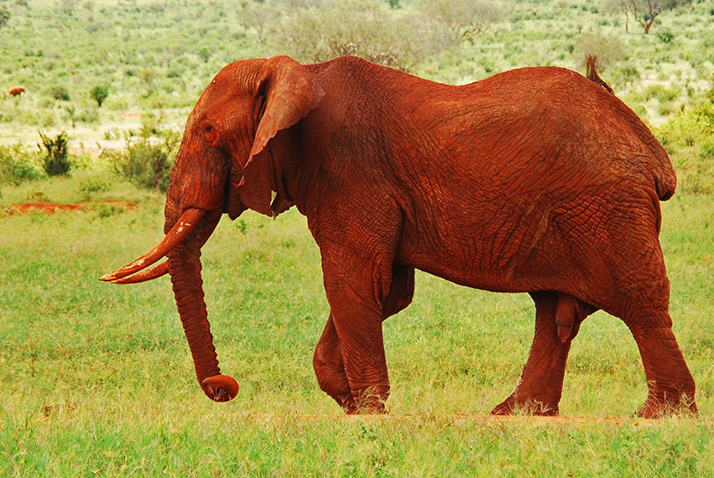 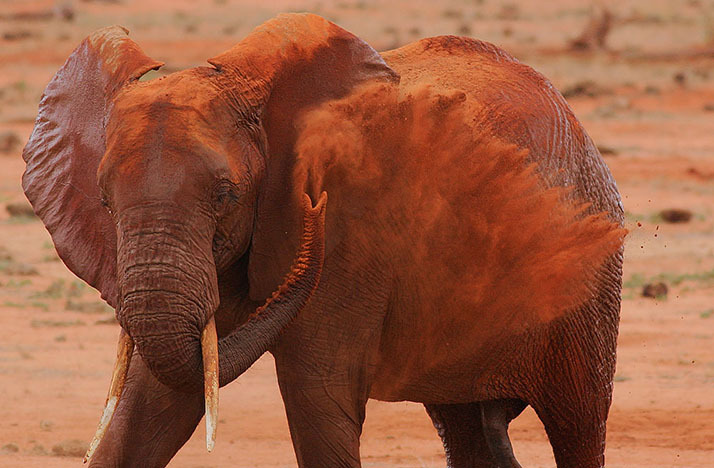 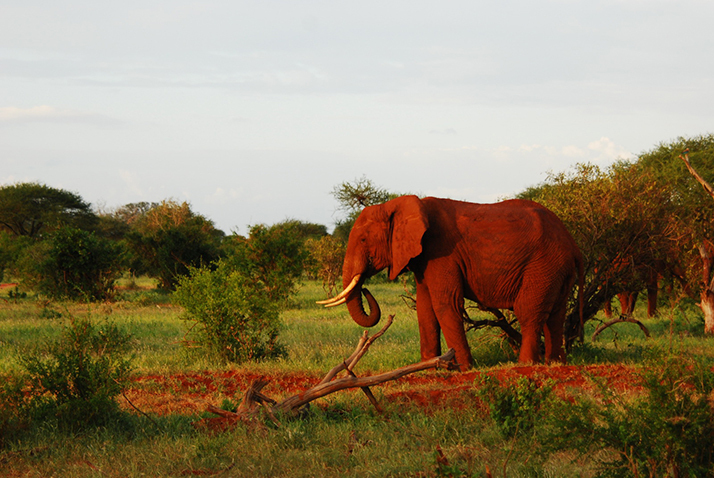 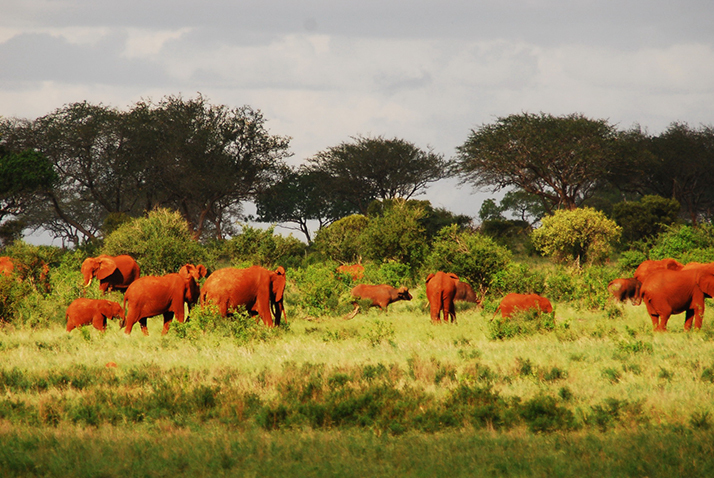 The dusty soil of Tsavo is naturally of this color and the elephants regularly partake of dust baths. 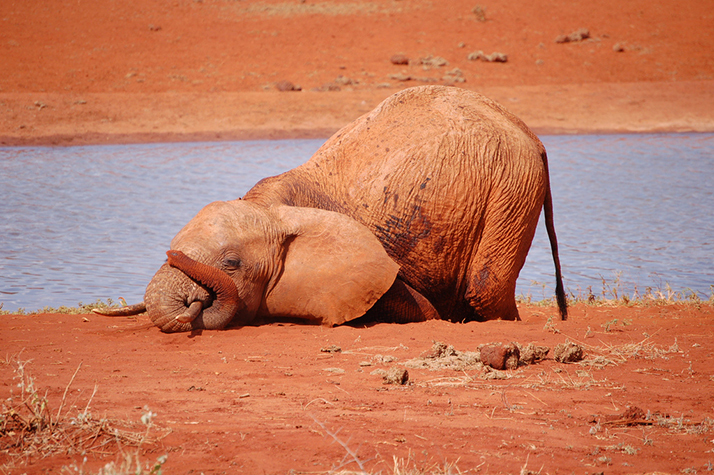 The dust serves as an important anesthetic to protect the elephant’s skin. 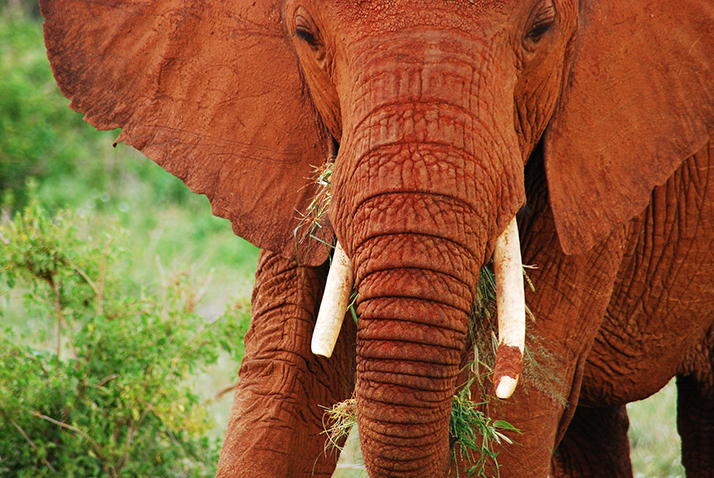 It also has the added bonus of shining up their tusks in to an almost silver appearance. 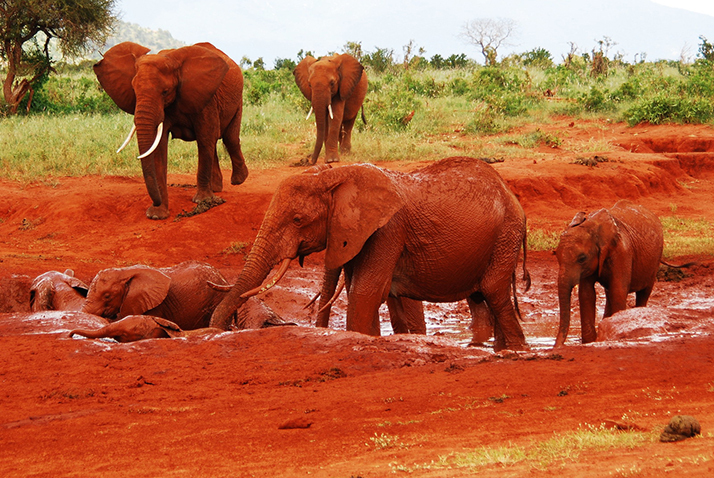 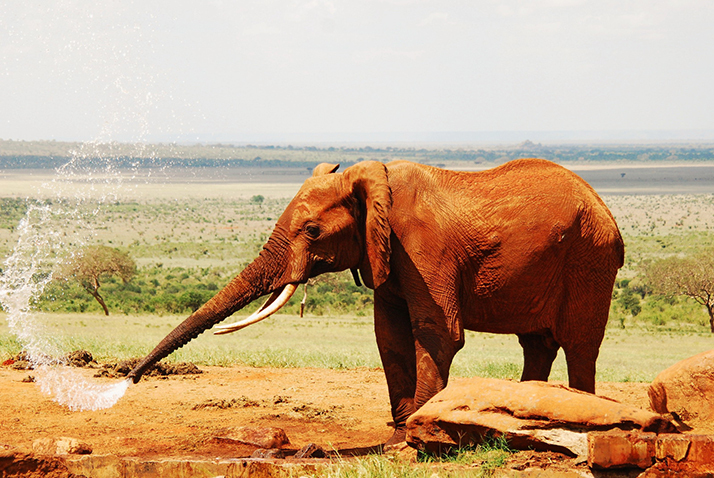 The elephants take every opportunity they can to bathe in water holes and rivers in the park (Tsavo itself means river in Maasai). 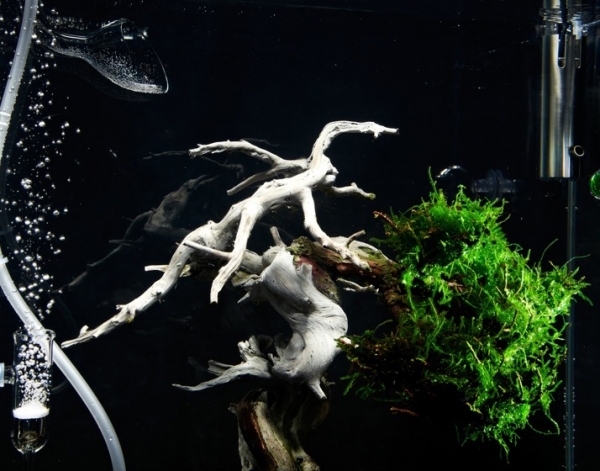 They emerge in a new, rather rubicund form. 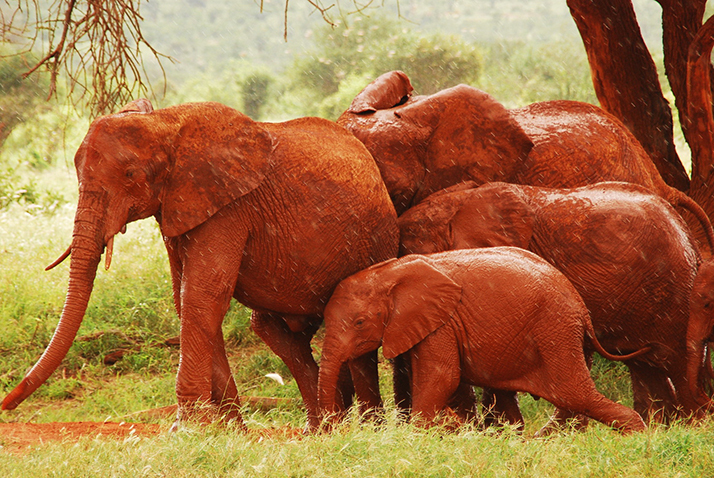 As they dry the mud deposited remains on their skin and their color has effectively changed."